WILMINGTON, Del. -- Wawa Inc. opened its 800th convenience store May 24 in Wilmington, Del. A grand opening of the new site began with the national anthem, sung by Wawa associate Mike Kelley, and featured a ribbon-cutting ceremony, Goose Pride parade, giveaways for the first 100 customers, free food and drink samples and specials, as well as an 800-shaped cake. The store offered free coffee through May 27. 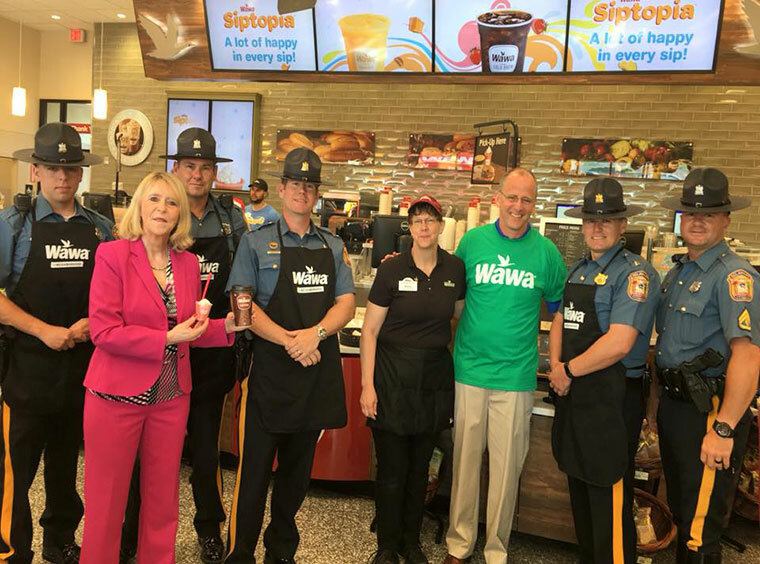 State Sen. Greg Lavelle and state Rep. Deborah Hudson attended the event, which also featured a Hoagies for Heroes charitable sandwich-building competition between members of Delaware State Police Troop 1 and the Talleyville Fire Co.
Matthew Du Pont will serve as general manager of the new store, leading a team of nearly 50 associates. During the grand opening, Wawa announced the addition of self-service lottery terminals to all existing and future Wawa c-stores in Delaware. The chain will complete the rollout to existing stores by June 6, 2018, it said. The self-service terminals will include all Delaware Lottery games, including Powerball, Mega Millions and instant tickets. Continuing its growth, Wawa said it plans to open 50 new stores chainwide and remodel 75 existing stores in its operating area in the mid-Atlantic and Florida markets in 2018. Wawa has c-stores in Pennsylvania, New Jersey, Delaware, Maryland, Virginia, Florida and Washington, D.C. It ranked No. 13 on CSP's 2017 Top 202 c-store chains by number of company-operated retail outlets. 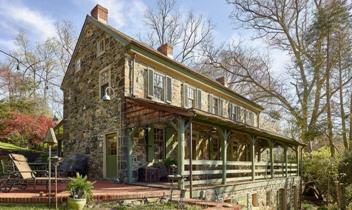 Meanwhile, the historic 1790s farmhouse in Wawa, Pa., once owned by the Wood family, the founders of Wawa Inc., is up for sale for $1.1 million, reported Philadelphia magazine. The house, now known as Forge Hill, became part of George Wood’s holdings in 1901 when he purchased 1,000 acres of land in to establish a dairy farm and milk bottling plant. It has been restored and is on national and local historic registers.